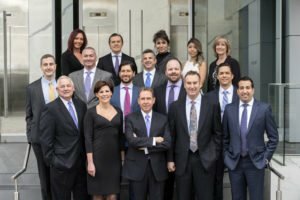 Metropolitan Capital Advisors celebrated Twenty-Five Years in business during 2017 highlighted by the move of our Dallas office to 3131 Turtle Creek Boulevard. With over $13 Billion of closed commercial real estate finance transactions since 1992, our firm is committed to the exclusive representation of our clients as a financial intermediary, clearly positioned to provide unbiased recommendations & solutions. The quality of our servicer and our loyalty to clients differentiates us from other advisory firms. During 2017, Metropolitan Capital Advisors (MCA) arranged over $650,000,000 of new debt and equity transactions. MCA completed sixty-five (65) assignments that were placed with 46 different capital providers. Completed transactions included a multiple of property types such as mixed-use, multifamily, retail, office, hospitality, senior living, land and housing development, medical, self-storage and single-tenant real estate. Over the years, we have grown our firm organically; building from the ground up by recruiting, investing, and mentoring young talent. It has taken time to groom and transition our Senior Directors into top producers in the commercial real estate finance industry. Validation of our success is evident as Metropolitan Capital Advisors has been consistently ranked as a Top #25 U.S. Financial Intermediaries by National Real Estate Investor Magazine. The Metropolitan Capital Advisors’ Leadership Team includes Founding Principal Scott Lynn and Co-Principals Todd McNeill and Sunny Sajnani. The firm expanded in 2013 by opening an office in Denver in partnership with Charley Babb. We are a member of the Real Estate Capital Alliance (RECA), a national association of eighteen like-minded real estate finance companies with $4 billion of annual transaction volume. Our expansion and association with RECA has given our firm the capability to serve our clients around the country for any type of project or capital requirement. Today, over 50% of our business is closed on transactions outside Texas. Success and longevity were not easily accomplished; our firm is extremely grateful to our clients who have entrusted us with their transactions, and to the many capital providers who have helped our clients achieve their goals. Finally, we appreciate all the commercial real estate professionals, brokers, attorneys, title agents, appraisers, contractors, collaborators and friends who have worked with us over the past twenty-five years. Thank you for being a part of our history and our success!